There is no question that art requires effort and education to be appreciated. Some art requires a lot of both. Sincere attempts to engage include many opportunities for people without a background in the arts to learn the sources and motivations of the art they will be experiencing. However, the greater the need for “them” to have things explained, the more the art is the center of everything, the more one-way the relationship becomes. (Note the separation that the use of “them” in that sentence implies.) One-way is not good for relationships. How much does this work demand of the community in order to be understood or appreciated? How much does the organization demand of itself to understand the community? Education efforts in audience engagement are sometimes viewed with frustration by arts insiders because people “just don’t get it.” Respect entails remembering how much effort, how many hours of education and practice had to be expended for arts professionals to understand their field. That much work cannot be expected of the non-professionals with whom the industry needs to develop relationships. So, if much is expected of the community, much must be invested by the organization. The world of the arts is built on doing: creating, producing, presenting. There is a predisposition for action. The immediacy of this characteristic of the industry does not fit well with meaningful engagement. Engagement takes time–time to learn what must be done and how to do it. The process of forming relationships must be allowed time to develop. That relationship building process will enable organizations to identify the most productive means of collaboration. The work takes time. Relationships cannot be tied to single events or even series. They must reflect an on-going commitment on the part of the organization; arts experiences must be tied to conversations with the community about community interests and about specific works. The relationships must have a longer life than any single art production/presentation cycle. An essential ingredient of effective engagement is commitment on the part of all (or at least the vast majority) of members of an organization–the board of directors, the administrative and artistic staff, even supporters. The principal decision-makers must clearly and enthusiastically support engagement. It must be effectively represented in the core executive team. If a single individual or single department (especially if these are not the ultimate leadership of the organization) is the sole source of engagement efforts, the community will see the lack of institutional commitment. The efforts will be viewed as superficial, temporary, and, in the worst case, cynical. It is difficult to fake sincerity. A community that does not see itself as being valued in all the organization does, will discount what efforts are undertaken. Mixed messages in engagement result in a net negative in relationship building efforts. On the practical level, if engagement is not approached on a systemic level throughout the organization, the efforts will be diluted to the point of being counter-productive. Systemic support for engagement can be nurtured by having every staff member and volunteer maintain in their minds the question “How can we help?” in every interaction with the community. Each should actively seek to know more about the community and every new thing learned about its needs and interests should be addressed by this question. In some ways, effective engagement stems most directly from the mental model arts organizations have of their place in the community. As long as there is a sense of separation between “them” and “us,” that view prevents or deters building relationships. When an arts organization sees itself as a full member of the community–interested and involved in every issue of importance to it–the organization invests itself in learning community needs and interests and addresses them in every way feasible. This is the means by which it becomes valuable and valued, the way it comes to be seen as, first, relevant and eventually indispensable. The perspective of mutually shared interests is a vitally important element of community engagement. It opens new possibilities, new ways of seeing, and new opportunities. It also serves as an essential antidote to community perceptions of the arts as inconsequential or as irrelevant to the lives of ordinary people. Without overcoming that obstacle, the future of arts organizations is in grave peril. It is common (and tempting) to recognize arts expertise as special and important, and, without a doubt, it is. Yet if that view creates barriers to connection, it is seriously counter-productive. Every specialty is special. Plumbers, athletes, lawyers, electricians, accountants, sanitation workers, doctors all have particular expertise that others do not. If any of them allow that expertise to isolate them, to get in the way of being of use, their success will be limited and those they might have served will be the worse off for it. 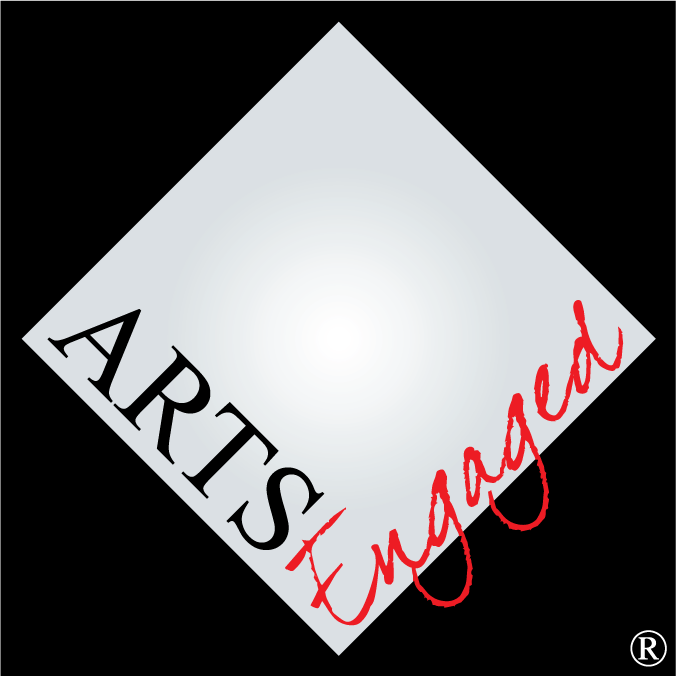 As has been mentioned, most community engagement in the arts grows from partnerships across categories–the arts plus some entity from outside the world of the arts. From an historical perspective it is safe to say that such work can be described as an “unnatural act.” Few arts organizations have experience in such partnerships; some are even a little hesitant to connect with those who do not hold the arts dear. Some communities view the arts with a jaundiced eye as representative of an elite “other” with which they are not comfortable. At best, the participants may be wary strangers. The key to success is, again, respect. This basic respect must be coupled with awareness of the strengths that each side brings to the table. Simply put, the artist or arts organization is expert in the art with which they are familiar–its repertoire and production/presentation processes. (That is not to say all art because experts specialize in a genre, a medium, an artistic style (or styles) of a particular culture.) The non-arts partner is the specialist in the interests of the community and in what works and does not work in that community. Being open to learning from others, to hearing and responding to what those from outside the arts establishment have to say is the best way to maximize value to those communities. Importantly, it has been observed that in true partnerships all participants are transformed. An excellent measure of the quality of a collaboration is how much and how organically all parties changed as a result of the experience. Mutual growth demonstrates equality of investment and participation. While the details will be elaborated upon in the following chapters, the essence of engagement comes down to identifying the communit(y)(ies) with which to engage, developing a relationship with it(them), producing arts events, and maintaining the relationship upon conclusion of the event. Engagement is a process that can be learned. There are general practices that can be applied in most situations. The first and most important issue to be addressed, though, is with what communit(y)(ies) is the organization attempting to develop relationships? The definition of community used here is extremely flexible. So much so that an organization’s current supporters are a community, though that is not a community that offers much potential for growth in numbers or impact. Building relationships with them is audience engagement, but that does not serve the purpose of expanding impact. The end being sought in community engagement is or should be to increase relevance and expand reach. To this end, it is necessary to identify some community (or communities) not now served, to build relationships with those who do not see the arts as personally vital. The relationship-building process that defines engagement is analogous to relationship development between individuals. Fortunately, most people have, to one extent or another, experience in nurturing relationships with others. When questions (or problems) arise in community engagement work, it is usually profitable to imagine how they would be addressed in interpersonal relationships. Those lessons are almost always applicable in engagement. There is a rather simple formula for forming bonds of trust: Meet, Talk, Work. No relationship begins without introductions, oftentimes from a third party. Any organization seeking to engage with a community with which it has no connection can benefit from identifying a mutually respected “third party” (individual or organization) to help make the connection. Talking together is the entry means by which relationships grow; through conversation participants have the opportunity to learn about each other’s background, wants, needs, accomplishments, and (eventually) vulnerabilities. In community engagement, this early talking, which may be better described as “listening to learn” or even “listening to serve,” will inform later discussions of possible projects. It is in the third phase, working together–preferably on something simple at first–that the relationship is solidified. The arts industry’s predisposition for action–production and/or presentation–has already been mentioned. It is important not to rush this. Community engagement work requires that projects be mutually beneficial. Until both parties understand each other reasonably well, it is simply not possible to plan effectively. Finally, once a project is completed it is vital that the relationship developed through the “Meet, Talk, Work” rubric be maintained. It is the habit of the arts industry to move on to the next project rapidly at the conclusion of the current one. This may enhance art (at least in number of presentations) but it is deeply destructive to relationships. In building relationships with new communities, this trait has the danger of resembling the “best friend” who suddenly never calls. That’s destructive to personal relationships and devastating to institutional ones. It is certainly difficult to maintain relationships built upon intense collaborative projects when the project concludes. However, it is a central task of community engagement to develop means of doing so.